MICHAEL SHANNON (Grey Villet) is an Academy Award and Golden Globe nominee. 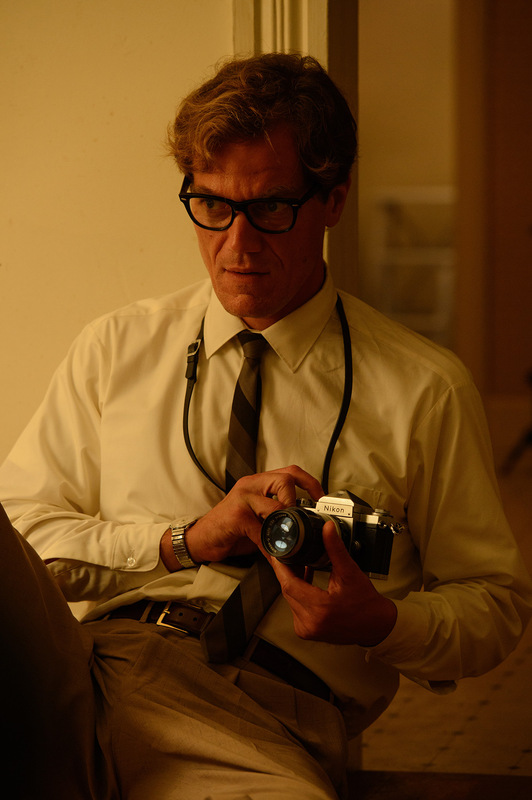 Loving is his fifth collaboration with writer/director Jeff Nichols, following Shotgun Stories; Take Shelter, for which Mr. Shannon received an Independent Spirit Award nomination for Best Actor; Mud; and Midnight Special. He was Academy Award-nominated for his turn in Revolutionary Road, directed by Sam Mendes and starring Leonardo DiCaprio, Kate Winslet and Kathy Bates. For his performance in Ramin Bahrani’s 99 Homes, starring opposite Andrew Garfield, he was nominated for Golden Globe, Screen Actors Guild, Critics’ Choice, Gotham Independent Film, and Spirit Awards. Mr. Shannon recently completed lensing on Werner Herzog’s Salt and Fire, alongside Gael García Bernal and Veronica Ferres; Seth Hendrickson’s Pottersville, opposite Adam Scott; and, also for release by Focus Features, Tom Ford’s Nocturnal Animals, opposite Jake Gyllenhaal and Amy Adams. Upcoming, he will be seen in two films that made their world premiere at the 2016 Sundance Film Festival: Joshua Marston’s Complete Unknown, with Rachel Weisz, and writer/director Matthew M. Ross’ Frank & Lola, in which he played the lead opposite Imogen Poots. Additionally, Bart Freundlich’s Wolves, in which Mr. Shannon stars opposite Carla Gugino, recently world-premiered at the 2016 Tribeca Film Festival. Among his many other film credits are Liza Johnson’s Elvis & Nixon, in which he portrayed music icon Elvis Presley, and Return; Jonathan Levine’s The Night Before; Peter Sollett’s Freeheld; John McNaughton’s The Harvest; Jake Paltrow’s Young Ones; Zack Snyder’s Man of Steel and Batman v Superman: Dawn of Justice; Ariel Vromen’s The Iceman; David Koepp’s Premium Rush; Marc Forster’s Machine Gun Preacher; Floria Sigismondi’s The Runaways; Werner Herzog’s My Son, My Son, What Have Ye Done and Bad Lieutenant: Port of Call New Orleans; Sidney Lumet’s Before the Devil Knows You’re Dead; Oliver Stone’s World Trade Center; William Friedkin’s Bug; Curtis Hanson’s 8 Mile and Lucky You; Michael Bay’s Bad Boys II and Pearl Harbor; Cameron Crowe’s Vanilla Sky; John Waters’ Cecil B. DeMented; Noah Buschel’s The Missing Person; and Shana Feste’s The Greatest. Mr. Shannon’s television credits include all five seasons of the HBO series Boardwalk Empire, for which he twice shared with his fellow actors from the show the Screen Actors Guild Award for Outstanding Performance by an Ensemble in a Drama Series. He maintains a strong connection to theater, treading the boards around the world. In April 2016, he returned to Broadway to costar with Jessica Lange, Gabriel Byrne, and John Gallagher, Jr. in Long Day’s Journey into Night. Produced by the Roundabout Theatre Company and directed by Jonathan Kent, the play revived Eugene O’Neill’s landmark 1956 drama. He won Drama Desk and Outer Critics Circle Awards for his performance, and was nominated for a Tony Award. He was last on Broadway in 2012, opposite Paul Rudd, Ed Asner, and Kate Arrington in Grace; Mr. Shannon earned a nomination for a 2013 Distinguished Performance Drama League Award. In 2010, he headlined Craig Wright’s off-Broadway play Mistakes Were Made, directed by Dexter Bullard, at the Barrow Street Theatre; the play had received its world premiere at A Red Orchid Theatre in Chicago in 2009, with the same cast and director. The off-Broadway staging brought Mr. Shannon accolades including an Outstanding Lead Actor Lucille Lortel Award nomination, an Outstanding Actor in a Play Drama Desk Award nomination, an Outstanding Solo Performance Outer Critics Circle Award nomination, and a Distinguished Performance Drama League Award nomination. His additional theater credits include Pilgrim’s Progress, at A Red Orchid Theater; Uncle Vanya, at Soho Rep Theatre; Our Town, at Barrow Street Theatre; Lady, at Rattlestick Theatre; The Metal Children, at the Vineyard Theatre; The Little Flower of East Orange, at the Public Theater; The Pillowman, at Steppenwolf Theatre; Bug, at Barrow Street, Red Orchid, and the Gate Theatre; Man from Nebraska, at Steppenwolf; Mr. Kolpert, at Red Orchid; Killer Joe, at the Soho Playhouse, Next Lab Theatre, and Vaudeville Theatre; The Idiot, at Lookingglass Theatre; The Killer, at Red Orchid; and Woyzeck, at the Gate. Mr. Shannon grew up in Lexington, Kentucky and began his professional stage career in Chicago, Illinois.